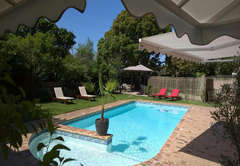 Wild Olive Guest House is one of the Newlands guest houses and provides accommodation in 9 guest rooms for tourists visiting the Southern Suburbs region. 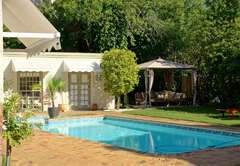 The Wild Olive Guest House prides itself on offering a warm welcome for all its guests. 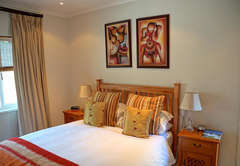 We have well appointed rooms that are comfortable and tastefully decorated. 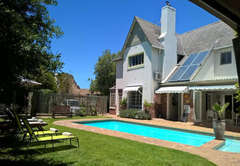 Our garden has a large swimming pool and a gazebo. 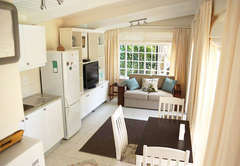 This comfortable accomodation in Cape Town is near to many popular attractions and activities. 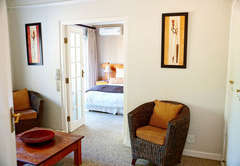 The rooms have a TV with DStv, Wi-Fi, air-conditioning, a bar fridge, a refreshment tray and a safe. 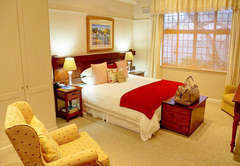 The spacious Queen bedrooms are furnished with a Queen-size bed and have an en suite bathroom. 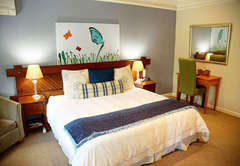 Offering the same features as our King rooms, this room is only slightly smaller than our Superior King rooms but with the same comfortable King-size bed. 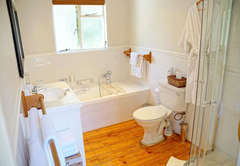 These rooms have an en-suite bathroom and are furnished with a King-size or twin beds. 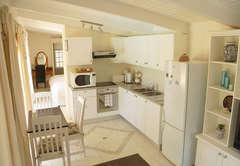 The cottage has a lounge, kitchen and bathroom. 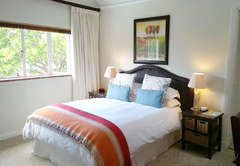 The bedroom is furnished with a King-size or twin beds. The air-conditioning is disabled accessible. 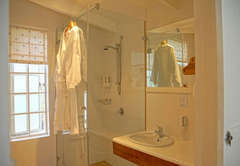 The suite has a lounge and patio as well as a fully equipped kitchen, bathroom and a bedroom. 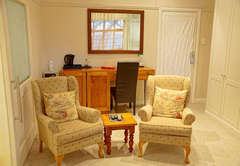 A full English or continental style breakfast is included in the rooms (excluding the Garden Cottage and the Self Catering Suite). Dinners available by prior arrangement. 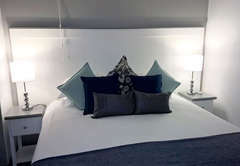 The spacious Queen bedrooms offer en suite bathroom, finest cotton linen, organic cotton towels, individual satellite TV/DVD, telephone, refreshment trays, work desk air-conditioning, Mini Bar, ADSL internet and Wifi. Offering All the same fetures as our King rooms The Standard Room is only slightly smaller than our Superior King rooms but with the same comfortable King Size Bed for a good nights sleep. 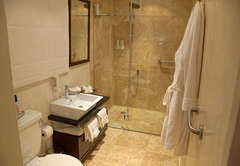 The Standard rooms are now offered at a competitive rate. 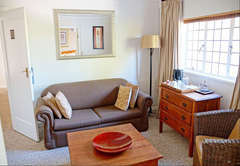 These spacious Bedrooms offer en suite bathrooms, finest cotton linen, organic cotton towels, individual satellite TV/DVD, telephones, refreshment trays, air-conditioning, hair dryer, heating, ADSL, Wifi & mini-bars. 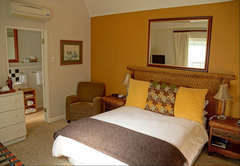 Comprises a lounge, kitchen bathroom and bedroom with 100% Egyptian cotton linen, organic cotton towels, individual satellite TV/DVD, telephones, refreshment trays, Disabled accessible air conditioning, ADSL & wifi internet, mini-bars. 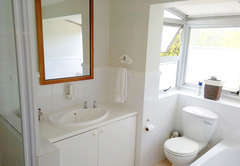 Comprises a lounge with own patio, fully equipped kitchen, bathroom and bedroom with finest cotton linen, organic cotton towels, individual satellite TV/DVD, telephones, refreshment trays, air conditioning, ADSL & wifi internet. Response timeWild Olive Guest House typically responds to requests in 5-10 minutes.